Marking the first ever vinyl release for 'Rave In2 The Joy Fantastic'. Each of the LP Vinyl titles will be pressed on highly collectible, limited edition PURPLE vinyl. 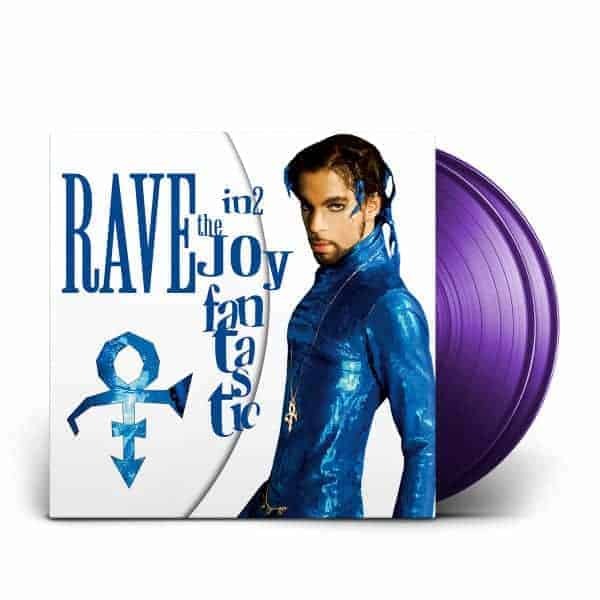 'Rave Un2 The Joy Fantastic', his only album for NPG/Arista (and last released under the unpronounceable "Love Symbol" moniker), a record showcasing Prince's mastery of pop and R&B through a variety of tracks and a surprising range of guest artists including Chuck D, Eve, Gwen Stefani, Ani DiFranco, and Sheryl Crow (Prince even covers Crow's smash hit "Every Day Is A Winding Road" on the album).